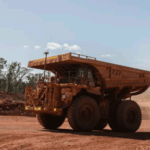 Three mining companies have taken a podium finish in IBISWorld’s list of top 1000 companies in Australia by revenue in 2018. 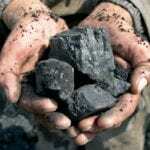 Rio Tinto ($67.35 billion), Wesfarmers ($67.17 billion) and BHP ($59.71 billion) placed first, second and third in the list. Diversified conglomerate Wesfarmers, which holds several coal mining interests and had placed top since 2016, dropped to second place, while Rio Tinto rose five spaces to take the top spot for 2018. Rio Tinto recorded the greatest growth in net profit after tax (NPAT) among the top 10 listed companies with a profit of $19.4 billion, a 56 per cent rise on the previous year. Supermarket chain Woolworths ($57.2 billion) and the Commonwealth Bank of Australia ($42.33 billion) were rounding out the top five. “The firms on IBISWorld’s 2018 Top 1000 list account for $2.22 trillion in revenue,” IBISWorld senior industry analyst James Thomson said. Mining and retail were well-represented among the companies in the list as the former enjoyed an improvement in commodity prices last year. 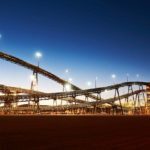 Rio Tinto announced plans last month to return a record $US13.5 billion ($18.9 billion) to shareholders on the back of its success in 2018, including a final dividend of $US3.1 billion and special dividend of $US4 billion. IBISWorld predicts that Wesfarmers will fall further in next year’s list due to its upcoming demerger of supermarket Coles.